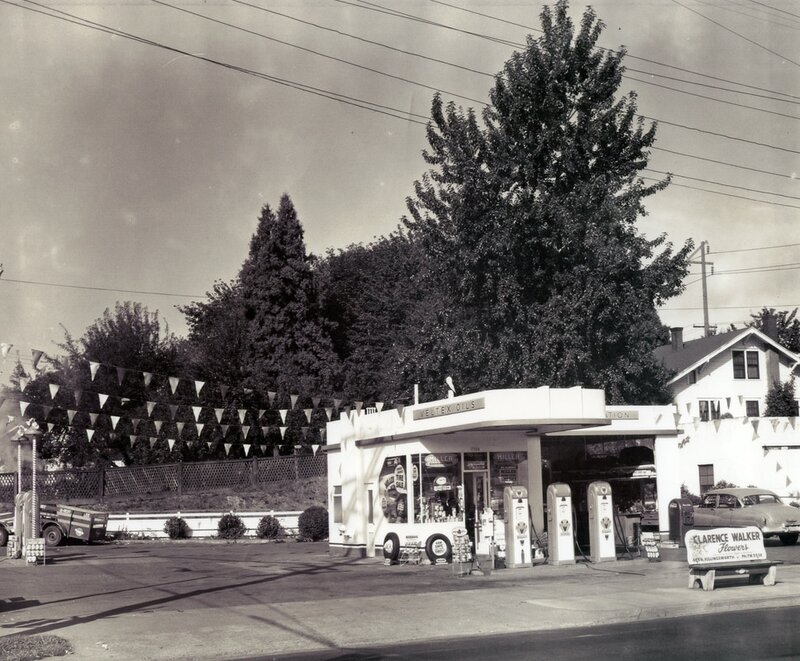 The Kammerzell's Veltex Oil service station was located on NE Union and Lombard in Portland, Oregon. Kammerzell service station on NE Union and Lombard in Portland, Oregon. Another Volga German business, Clarence Walker Flowers, is advertised on the bench in front of the station. Photograph courtesy of Harold Kammerzell.